Grows to a perfect shape no matter what size. Found in the Mediterranean, where radishes are eaten like cherry tomatoes, prized for their sharp, peppery flavor. This brightly colored beauty grows to a perfect shape, whether harvested young or left in the soil and pulled when the size of a golf ball. Either way, the texture stays crisp without becoming woody. Strong tops are tinged with red and make tasty greens for salads when snipped young. Radish, Perfecto is rated 4.1 out of 5 by 13. Rated 5 out of 5 by Danylu Hundley from Perfecto Radish I tried in the fall with 4 others. It is fantastic! Rated 1 out of 5 by mav77 from Not a single radish Planted a row of Perfecto next to the basic French Breakfast Radish bought at the store. Both planted same time. While the greens came up, not as high as French breakfast, there were roots but not a single radish formed, the French breakfast were slightly smaller than in the past, but did form radishes. Rated 5 out of 5 by Wicked Farms from Huge and Delicious! I haven't been able to get consistent growth or flavor with my radishes, no matter what variety (and I have tried a ton!!) This radish not only was prolific, it was consistent. Of the 4 varieties planted in 2016, this one was by far the best. Massive size, tender, sweet with a mild bite. Lived up to it's name. Customer favorite. 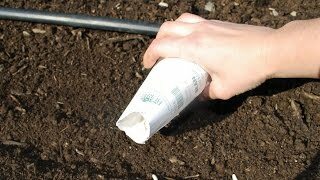 Rated 2 out of 5 by slh1940 from Nice Green Leaves But No Radishes Direct-sowed 20 seeds in a raised bed filled with Miracle Grow Potting Mix & supplements. Leaves were beautiful, but no radishes. Other seeds & plants were productive using same mix in different raised beds. Don't know what I did wrong, but am trying again. Rated 5 out of 5 by GayR1 from Perfecto! These radishes definitely live up to their name! They are the PERFECT shape, no matter when harvested. Every one of the seeds produced a radish. 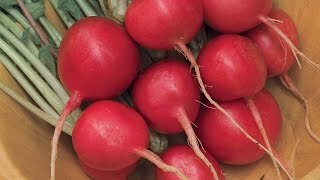 I have tried many different varieties of radishes over the years...these are definitely my favorite. I plan on making this a yearly addition to my garden. Rated 3 out of 5 by nugrdnnut from Good flavor. As the description states, it does have a good "peppery" flavor. Initially they were nice and tender, but unfortunately the last 14 that I harvested have been somewhat woody. I did not do succession planting, hoping that, as stated in the description, they wouldn't get woody. Rated 5 out of 5 by beaver from Great germination I planted the seeds on Wednesday and they all germinated Sunday. Rated 5 out of 5 by Mike1954 from Good radishes These were the best tasting radishes I've ever grown, just a little pricey for the amount of seeds(<200, more like 100) in the package.